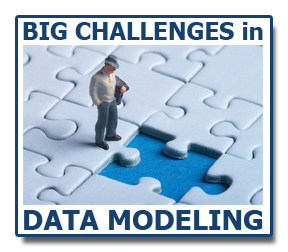 This month’s webinar (2PM EDT/11AM PDT) focuses on how DBAs and Data Modelers can collaborate better. You know what it’s like: we both love our data and what databases to purr. But what happens when our points of views differ? Is performance more important that some data quality? Should we all be using the same tools? Who should be calling the shots? Who should be “in charge”? What deliverable should we be preparing? Our webinars are very interactive. We open the chat to everyone and offer a formal Q&A for asking questions and giving feedback to the panelists. You can even join early to chat with us and we tend to stay about after to have “off the record” follow up conversations. So this isn’t a lecture, but an online community event to chat about what we can do as a team to provide data and database solutions to our organizations. We are sponsored this month by CA Technologies, the makers of CA ERwin®. Thanks, ERwin team! You’ll need to pre-register, but it’s free. Do it now. It will be fun. Yanni (@yannirobel) manages the Database Operations team at Amazon.com in Seattle, WA. She is a very active Senior Database Administrator as well, leveraging more than a dozen years of experience working with Microsoft SQL Server products and technologies.Yanni specializes in bridging communications between the business, the developers, the sysadmins, and the DBAs to help everyone understand what it is that they depend on. As an active member in the SQL community, previous developer, and parent, Yanni knows the importance of knowing what you don’t know and leveraging the collective knowledge of others and the community to learn and grow. Yanni is pleased to give back to peers, coworkers (past & present), and recruiters by sharing knowledge. Paul Agnew is an author, consultant and speaker with more than 20 years experience in the data modeling and data integration fields in many different industries. He is the co-author (With Len Silverston) of The Data Model Resource Book Volume 3: Universal Patterns in Data Modeling, which describes universal data modeling patterns. Mr. Agnew, has been a featured speaker at the prestigious DAMA International conference, and has presented papers on many different aspects of data management field.Paul has extensive, hands-on experience working in many different industries, including financial services, insurance and re-insurance, health care, healthcare informatics, sales and marketing and manufacturing. Paul is an expert in solution architecture, data architecture, data quality, master data management, data warehousing, big data and data governance.